Breast cancer is a heterogeneous disease, in terms of both its clinical course and its underlying molecular abnormalities. Its etiology is likely to involve a combination of congenital and acquired abnormalities. The introduction of this section focuses on the significance of human breast development and its possible contribution to our understanding of the roles of hormones and other factors in mammary carcinogenesis. 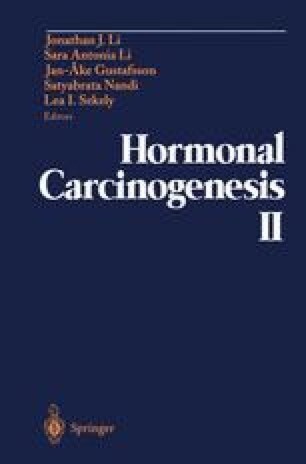 The accompanying chapters will deal with the use of breast cancer animal model systems and their susceptibility to carcinogens, the definition of early events in mammary carcinogenesis, and the pathogenesis of the disease in relation to hormones and growth factors.